Friendly, welcoming, family atmosphere that fosters the Gospel values & academic excellence. A care code that has the student's well-being at the centre of everything we do. A student resilience program that reflects a supportive and caring classroom/school culture. Dedicated and progressive staff who are inclusive and outreaching. Well equipped Early Years Centre. An indoor Activity Centre that caters for all types of sport. Specialist drama, art and sport teachers; A dance and swimming program for all students. An extension and enrichment program. Visible community spirit; Active and dedicated parent body. 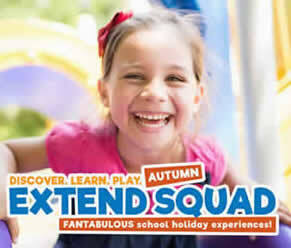 Fun and exciting After School Program delivered in a safe and secure environment. On behalf of the school community, I invite you to take the time to look at the information available on this website. It is an excellent reflection of the interest and dedication the staff at Holy Name have towards the pupils and families of our fine school. 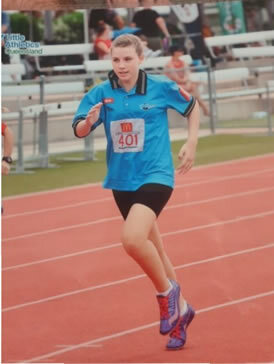 Congratulations to Aliyah in Year 6 for her recent success at the State Little Athletics championships where she was placed 3rd in the 200m finals. Aliyah was also successful in her other events including progressing to the final of the 400m and achieving PB's in 200m, 400m and Long Jump! Well done Aliyah, you've done us proud! My best wishes for a safe and Holy Easter season to the Holy Name community. Take the time to be peaceful and prayerful as we approach the holiday period and enjoy ‘down-time’ with family and loved ones. Intentions such as peace and harmony will focus us as we attend the Easter Masses and worship. Holy Name students have enjoyed a wonderful term of deep learning and many successes. Thank you to our entire community for the rich learning environment we create to ensure that all students can achieve academic success and experience the loving presence of Jesus throughout their school day. The last day of school for this term is Thursday 4 April. N.B. Friday 5 April is a Pupil Free Day. Classes resume for Term 2 on Tuesday April 23rd. Students will wear their winter uniform in Term 2 and 3. Please ensure you have the correct winter uniform ready to wear on Tuesday, April 23, the first day of Term 2. The Uniform Shop will be able to assist with any new uniform requirements. The Uniform shop is open on Monday morning and Thursday morning and afternoon. The first round of Prep enrolments for 2020 is underway. It is an honour and privilege to welcome new families to our wonderful Holy Name community. We are in need of more new families to inquire and enrol for Prep 2019 so please spread the word about our wonderful school and encourage friends and neighbours to join our Holy Name community. We are aware that there are siblings who will be in the Prep class of 2020. Please ensure that you have collected your enrolment package from the office. Please complete and return. I am looking forward to meeting our siblings at their Prep Interview. These interviews will take place in Term 2.